Step 2. How do I inhale correctly? Step 5. How do I start my vaping journey? If you’re a first time vape user looking to quit smoking, you may be looking for a bit of help on how to get set up and start on your vaping journey. In order to ensure you get the full benefit of the nicotine from the e liquid, you need to make sure you vape properly. Vapin is slightly different to smoking a cigarette because of how nicotine is absorbed into the blood. Below, we’ve put together a few of the main points you may need to know to get you up and running. It’s important to keep in mind that e-cigarettes can be different and different designs may have different features and controls. You should also read the user guide with your kit to help you figure out the basics. However when starting out, studies have shown that there are better vape practices that increase your chances of quitting smoking. Our 5 easy steps to successful vaping will help increase your chances of quitting and transitioning to vaping. Many first time vapers report mixed results. Some find instant results using an electronic cigarette (EC) while many others complain about almost zero affect. This difference in the experience means many people who try vaping simply go back to smoking. Many *older studies show that generally 1i e cigarettes do not deliver nicotine as efficiently as cigarettes, getting a high quality modern e cigarette or vape device and ensuring the correct procedure is used when vaping is essential in the transition to vaping. Understanding a little bit about how vaping actually works and compares to smoking gives you a better chance of quitting. 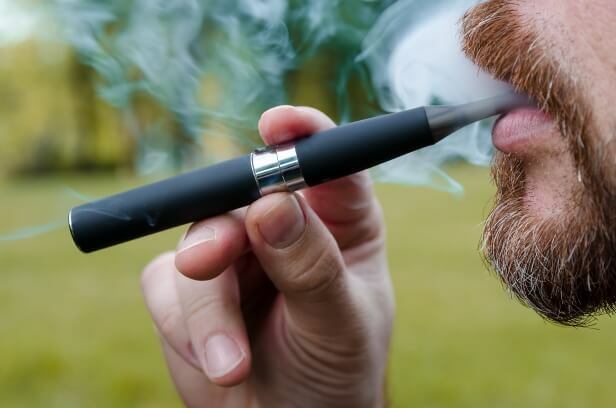 It is now common knowledge that vaping is less harmful than smoking, vaping is fully endorsed in the UK by the 1NHS as a bona fide smoking cessation aid. When smoking tobacco the nicotine hit is almost immediate, when vaping the absorption will take slightly longer. See our nicotine absorption guide for more information. The nicotine delivery profile of a cigarette is not the same as an electronic cigarette. The slower absorption time relates to both high powered mods and smaller scale e cigarettes because both are related to vapour absorption. When vaping, the molecules containing nicotine are larger than smoke molecules, larger molecules will take longer to be absorbed. When smoking the initial hit takes a few seconds, when vaping it can take 10-30 seconds. However once it gets into the blood you will feel that the urge for nicotine diminishes in much the same way as smoking. In other words, when vaping it takes a little longer to experience the first effects of nicotine in the body but once you feel it, it is much the same as smoking. Continued vaping replenishes and increases the the nicotine concentrations in the blood. Vape Mods use a lower nicotine concentration so produce more vapour while small scale e cigs use a higher concentration e liquid to compensate for this as they produce less vapour. (Both device types typically produce more “smoke” than a cigarette). A recent 2 scientific study of experienced vapers show that sufficiently high levels of nicotine can be absorbed when vaping and there is a difference in inhalation or puffing patterns between vapers and smokers. Getting this right is significant to the outcome to quit smoking using your vape device. Once nicotine is absorbed and your blood/nicotine level increases then the desire to smoke no longer exists. Again because smoking is almost an instant hit you can defer having your next cigarette until absolutely necessary. Because vaping needs a minute or two to get started you need to adjust things a little to ensure you keep the blood/nicotine level elevated. With a cigarette you put it out when finished, and when you feel the urge again you simply light up the next cigarette. With vaping you have a device that is “always ready”. You don not want to be vaping non-stop. However unlike cigarettes where you have one, wait then have another when needed. With vaping you need a bit more continuity. Assuming there are 9 hours in the day where you are unable to smoke, eg. sleeping time, shower/bathroom etc. If you are a heavy smoker, 30 or more per day, you are smoking on average 2 or more cigarettes per hour. If you are an average smoker of around 20 per day you are smoking approximately 3 cigarettes every 2 hours. Depending on your current smoking rate you need to adopt a vaping profile to match in order to replace the smoking habit totally. As a general guide to new users it is advisable to buy an e cig starter kit that does not require the user to fiddle around with e liquid and have to handle filling cartridges. Buy a good e cigarette starter kit with automatic batteries that comes with pre-filled cartridges as these are simpler and cleaner. Our current best e cigarette can be found here. The modern quality e cigarette performs significantly better than earlier first generation products. There maybe a few pence in price difference but either option will save you a lot of money when compared to using traditional cigarettes! Although smoking cessation involves nicotine considerations, studies on smoking cessation also clearly demonstrate that there are psychological factors involved with smoking addiction, ie cognitive and behavioural which includes handling, holding and puffing a cigarette – the rituals. Getting a small, simple cigarette like effective device that does not feel awkward to handle will lend itself to the transition process. The easiest way to get started with vaping is to buy a basic beginners vape starter kit. One that has automatic batteries and pre-filled e-liquid cartridges, this will simplify the transition away from smoking in the most efficient and uncomplicated way possible. We recently put together a list of the top 10 e cig kits that are perfect for beginner vapers. After using your vape pen a few times, you’ll become accustomed to all of its features. Many people prefer the simplicity of the automatic e cigarette kit with pre-filled e liquid cartridges as this is a simple and effective substitute to smoking. Some may want to move across to the larger scale more advanced and customisation vaporizers so it is advisable to read the reviews on the site for the current best vaping products available in the UK. Some e-cigarettes will have a button located on the vape pen that turns the device on i.e. a manual e cigarette. 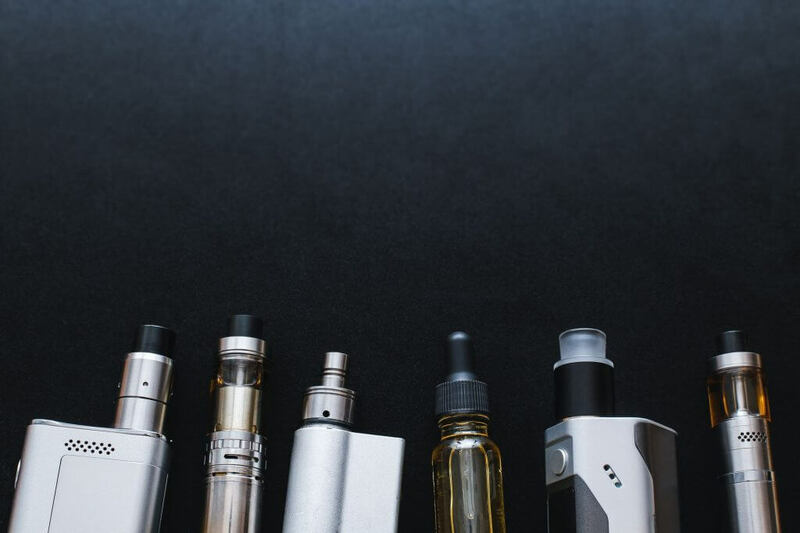 A manual vape pen or e cigarette will only produce vapour if it has been switched on, so if you can’t see a button or know how to turn it on, refer to the instructions that came with your kit. The more advisable option for those starting out is the automatic e cigarette which will work automatically once you inhale. The act of inhaling will trigger the electronics and start the vaping process which is more what you will be used to as it is similar to regular smoking. Identify if your chosen vape device is automatic or manual. If it’s automatic, as stated above all you need to do is inhale, however some e cigarettes have a button that you need to hold down to be able to take in the vapour. Bear in mind that when vaping, you don’t have to inhale as hard as you would a normal cigarette. In order to get the most from your e cig it is important that you recognise that the vape procedure is slightly different to smoking. The best basic beginner vape kits won’t have a variable volt setting as the vape device is already optimised to work with the e liquid cartridges supplied with the kit, but if you happen to have the option to have either a high or low setting, it’s best to adjust to the lowest setting available and slowly move your way up to establish what temperature gives you the best results. The voltage controls the heat of the device, which in turn controls the vaporizing temperature of the e liquid. As different e liquids have different ingredients the optimum vape temperature may vary. Generally it is better to start out with the pre-filled cartridges that are often sold alongside e cigarette kits as this definitely makes life easier. Some e-cigarettes require you to fill them with e liquid and some come already pre-filled. Make sure you use only lab. tested safe e liquid reviewed here. If the option you have needs you to fill the device with e liquid it should be straight forward although it can be a bit messy. This involves removing the cap from the tank/refill and dripping e liquid into it to the required level mark. Check your user guide for the exact way to fill your tank. 4 Nicotine is a known poison and can be absorbed through the skin, care must be taken when using e liquids around children too so correct storage and handling is essential. The National Institute of Health highlight that “Direct contact with nicotine can lead to adverse health effects” and go on to say safety training should be given to prevent accidental exposure to nicotine. It is therefor important when using nicotine e liquid to ensure there is no skin contact and adequate measures are in place to avoid spillage. Where you can vape is a bit cloudy in the UK, most modes of public transport have banned vaping, as have most shops. The safest way to avoid getting told off is to only vape where you would smoke a normal cigarette, alternatively, if you’re not sure if vaping is allowed indoors or in a public space, ask whoever may be in charge before vaping. *Studies prior to 2016. Generally these studies used old style first generation e cigarettes which were inefficient and were not of the same quality as current quality vape devices. Nicotine absorption from electronic cigarette use: comparison between experienced consumers (vapers) and naïve users (smokers) June 2015 Konstantinos E. Farsalinos et al. Evaluating Nicotine Levels Selection and Patterns of Electronic Cigarette Use in a Group of “Vapers” Who Had Achieved Complete Substitution of Smoking. September 2013 Konstantinos E. Farsalinos et al. 1(i). Nicotine delivery to users from cigarettes and from different types of e-cigarettes.